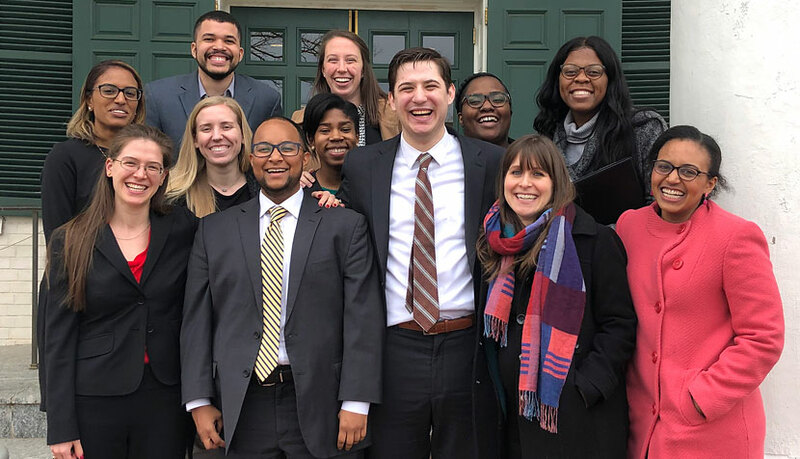 In the yearlong clinic, offered in conjunction with the JustChildren Program of the Legal Aid Justice Center, students represent low-income children statewide who need legal representation. This yearlong clinical course includes two semesters of supervised legal representation of children and weekly course meetings. In the fall semester, the weekly course meetings will include case supervision supported by clinical instruction, readings and guest speakers. In the spring semester, the majority of the weekly course meetings will be focused on case supervision. Students earn four credits during the fall semester and four credits during the spring semester. This clinic is offered by JustChildren, a program of the Legal Aid Justice Center in Charlottesville. Though most of the legal work will involve the representation of clients in the juvenile justice system or children being denied legally mandated educational opportunities, students may also represent children in cases involving immigration, services for incarcerated children, mental health and developmental disabilities law, and foster care and social services law. Students gather factual information and conduct legal research to analyze their client’s legal rights, represent children in negotiations and administrative hearings, and participate in court proceedings to the extent permitted by law. Students will also have the opportunity to work on policy issues impacting children. Opportunities to work on impact litigation also may arise during the year.